How can Soft Tissue Lasers be used in Dentistry? A soft tissue laser produces a highly focused laser light that can be used to manipulate soft tissues in the mouth. 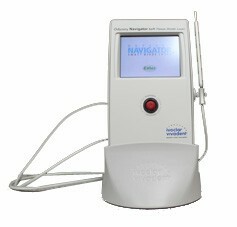 This soft tissue laser can make very small incisions when the beam is focused on the tissue. It can also be used for the cauterization of small blood vessels and lymphatics, therefore decreasing post-operative swelling and pain. Why use Soft Tissue Lasers? The soft tissue laser beam has a natural sterilization effect—it evaporates bacteria, viruses and fungi, which leads to a decrease in local infections. Another great benefit of soft tissue lasers is the decrease in post-operative pain by sealing nerve endings. This is one thing that makes patients very happy. With this benefit alone, more patients are now asking their health care professionals if they use dental lasers in their work place. Dental Lasers do not make whining sounds or other annoying noises. You may experience the sound of a rush of air, since air suction is often used to keep the area cool and clean. You should be able to relax and be comfortable while the dental laser is in use. 3) Treatment of Cold Sores and Ulcers in the mouth – soft tissue laser can be applied to a cold sore to speed up healing time and to alleviate pain. 4) Removal of excess gums – often can be used with just topical gel without a ‘needle’. Areas would include excess gum growth over wisdom teeth, increase of growth of gums due to certain medications, and sometimes gums growing over or up to orthodontic brackets. 5) Reduction of your frenum/frenulum– a frenum is a fold in your mouth that restricts or secures movement of a mobile organ. 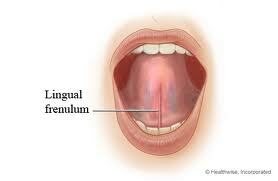 For example, your lingual frenum is located at the base of the tongue. If this frenum is long and secures your tongue to the floor, you could be “tongue tied” and the laser could alleviate this to a more appropriate length so your speaking would be improved. Periodontal disease is an advanced disease of the gum tissues and the surrounding hard and soft tissues of the teeth. Signs of Gingivitis include bleeding while flossing, brushing or during other oral hygiene procedures. Gingivitis often doesn’t progress to periodontal disease, however gingivitis always precedes periodontal disease. The first procedure against Periodontal disease is called LBR which stands for Laser Bacterial Removal. It is done by placing a microfiber tip under the gum line which releases heat and disrupts and removes bacteria which are the cause of gingivitis. This procedure is done in combination with your professional teeth cleaning and proper at home hygiene care which will reduce significant swelling and bleeding of the tissues of the mouth. 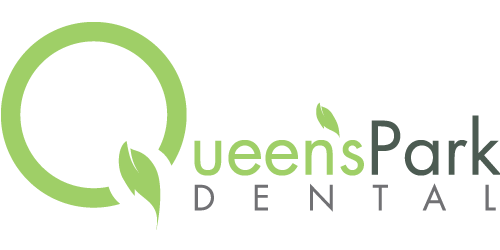 This procedure is used for a more advanced disease of the tissues of the mouth. When a patient is at this stage it is because the bacteria that is under the gum line has not been removed or disrupted and the body’s natural defense is to attack. The white blood cells attack the bacteria that are attached to tooth and bone under the gum line and in turn destroys this bone. Eventually this will affect the tissue that connects the tooth to the bone which is what cause recession of the gums, bones loss and eventually tooth loss. LAPT is a treatment that sends a higher laser heat under the gum and removes the dead and diseased tissues and stimulates the cells that generate bone growth. Simply it helps the tooth reattach to the bone and reduces receding gum lines. In order for this treatment to be successful, a lot depends on the patients at home care and regular appointments with the dental hygienist.